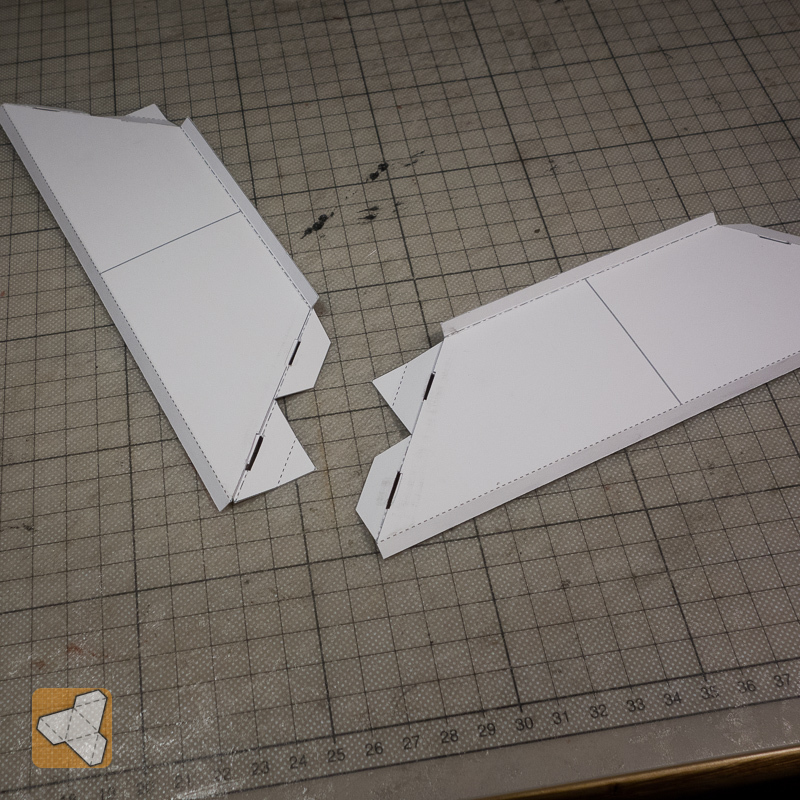 It has been bugging me for a while, that I did not have a fold-flat system for the roof parts. I talked to some guys in the beginning of development and we kind of agreed that it was OK to only have the walls able for disassembly. The roofs we would just stack for storage. But once you add the edge ornaments that becomes difficult. Being the perfectionist that I am, I needed to work out a solution for this and I think I got it now. 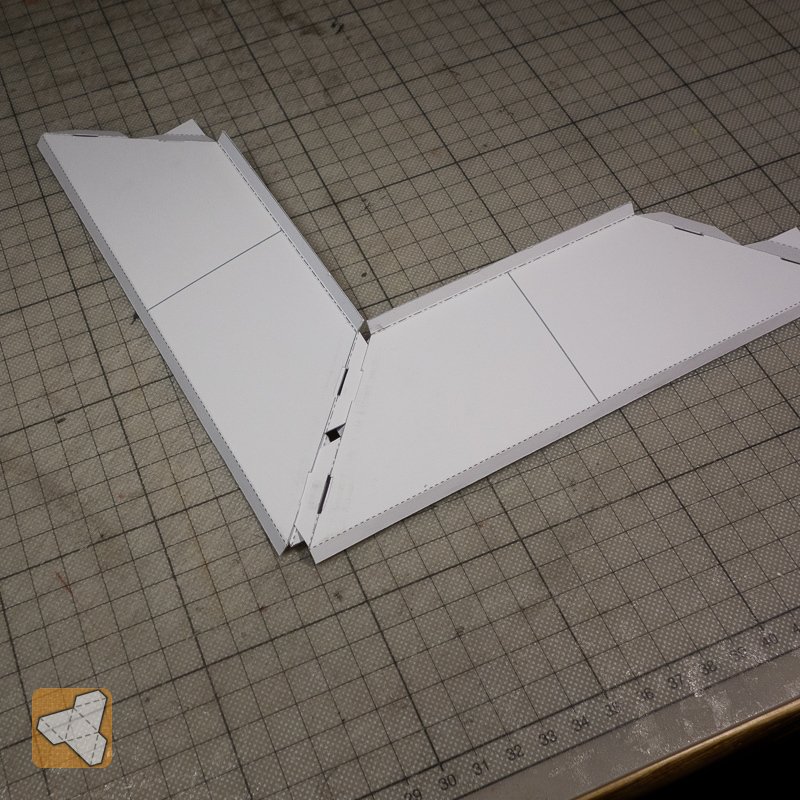 This is the top view of the roof modules. 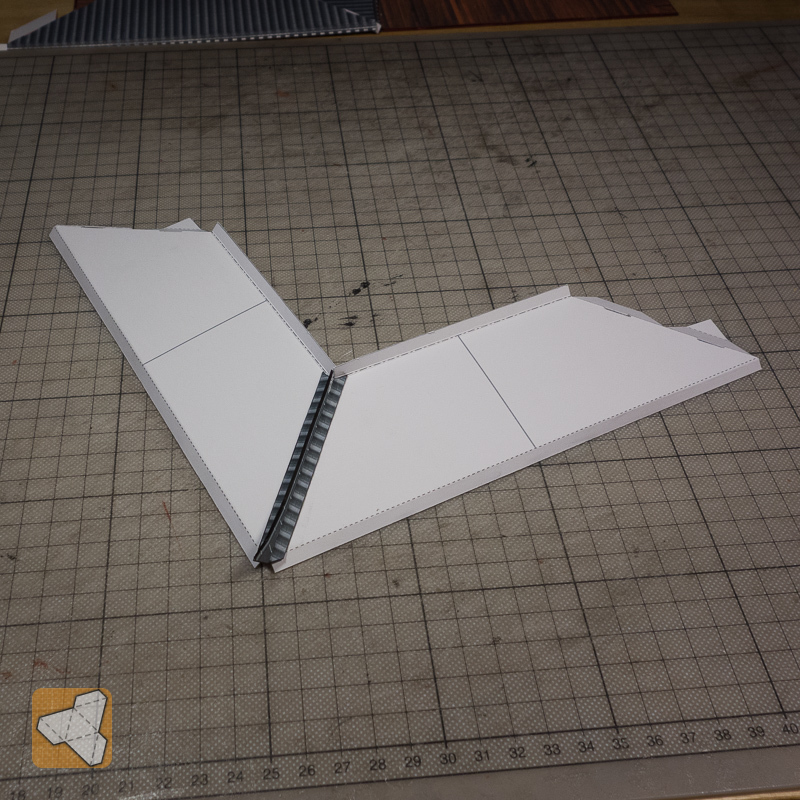 Each side has flaps going in the other direction. 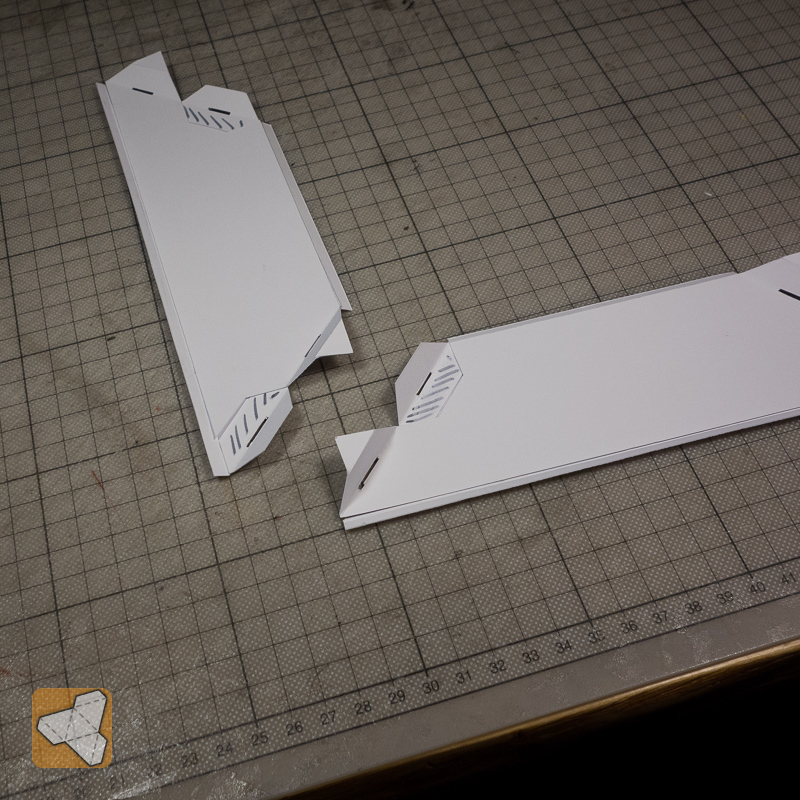 And they all have slots, where you will insert the final edge ornament to lock the assembly in place. And the bottom view. 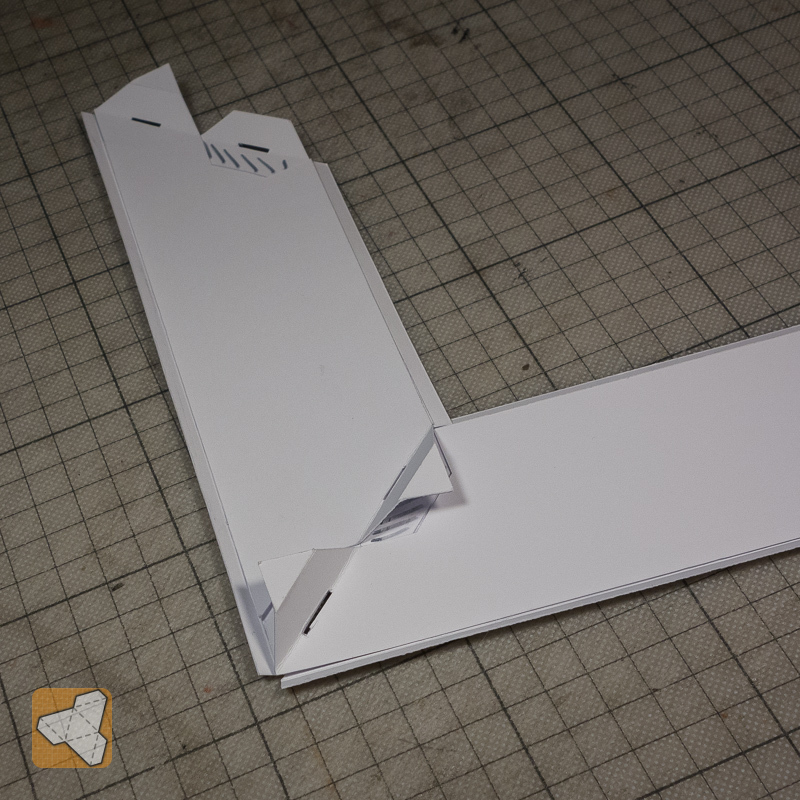 The bottom flaps have a little extension that will be tucked into the other side. For assembly you first insert the top flaps. And the you tuck in the extensions of the bottom flaps into place. 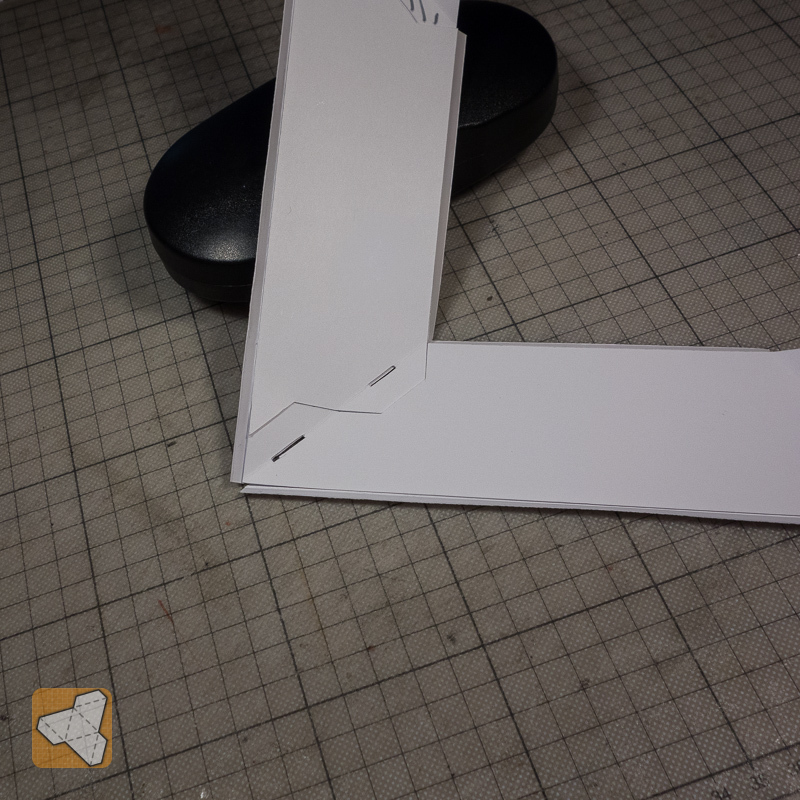 Due to the bend pattern it can be done very easily. Finally you insert the edge ornament part and it all becomes locked and can be placed onto the walls.